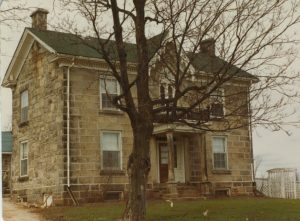 In celebration of Canada’s 150th birthday, the Esquesing Historical Society has made a list of the remaining farms in Halton Hills (Esquesing Township) which have belonged to the same family for at least a century and a half. In some instances the family name has changed because the farm was passed down to a daughter of the family and subsequently assumed the surname of her husband. The list of century farms from the 1967 Centennial list composed by the Halton Junior Farmers was our starting point but after discussions with several old time residents, surveys mailed to the families of interest and the use of the 1877 Halton Atlas and a 1916 advertising map it was discovered that the list of 20 farms should have been 30 farms. The updated list can be found in the Heritage Farms menu at the top of this page. In addition to the sesquicentennial farms, we have collected a list of new century farms that have belonged to the same family since 1917. This list can also be found in the Heritage Farms menu above. In November of 1966 the Halton Junior Farmers submitted to the local newspapers (e.g. 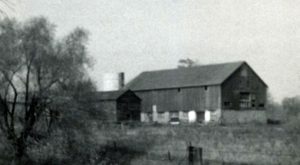 Georgetown Herald and Milton Champion) a list of approximately eighty farms in Halton County of which twenty-one farms were in Esquesing Township (Halton Hills) that had been owned by the same family for at least a century. This was done for the 1967 Centennial celebration. 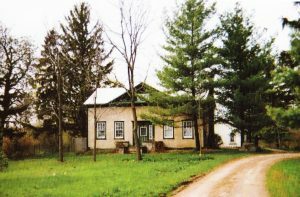 The Esquesing Historical Society has furthered research on the century farms finding an additional nine family farms that should have been included in the list. These farms are indicated by an asterisk and blue text. Appleyard *Appleyard, Richard Lot 25 Conc. 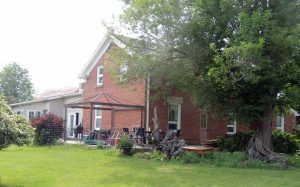 8, Trafalgar Rd. Brown McCullough, Marg Lot 27, Conc. 4, #7 Hwy. Devereaux 1830 Devereaux, Norman Lot 18 Conc. 7, Trafalgar Rd. Henderson 1844 Henderson, George Lot 22 Conc. 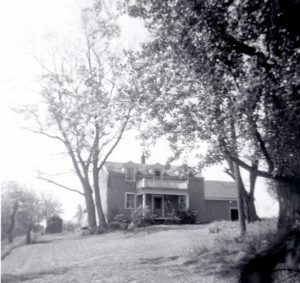 7, Trafalgar Rd. Lindsay 1854 Lindsay, Donald N. Lot 21, Conc. 7, Trafalgar Rd. Ruddell 1841 Ruddell, A.J. Lot 9, Conc. 7, Trafalgar Rd.